QuickBooks makes it possible—easy, even—to maintain thorough records of your vendors, the individuals and companies who provide you with office supplies, product parts, computer equipment – everything you need to keep your business operating. 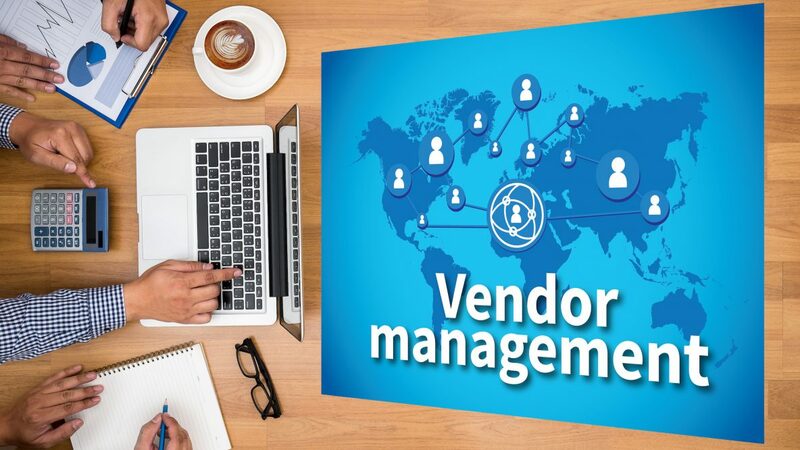 Once you’ve started building a vendor record, you’ll be able to use it in transactions and reports, and to simply refer to it when you need some information. You can store an enormous amount of detailed information about your vendors in these record templates. Fill in as many of these fields as you can, then click on the Payment Settings tab in the toolbar on the left. The fields in this window—Payment Terms, Credit Limit, etc.—are optional, but complete what you’re able to. The more you can fill out now, the less work you’ll have to do later, since much of the information here automatically comes up when you create transactions. Account Settings. Here, you can select the default account that should be automatically selected when you enter a bill or expense for this vendor (for example, phone bills = Utilities: Telephone). Talk to us if you don’t understand this. It’s OK to leave it blank for now. The Vendor Information window displays contact information in the top pane (not pictured here), and additional details below. 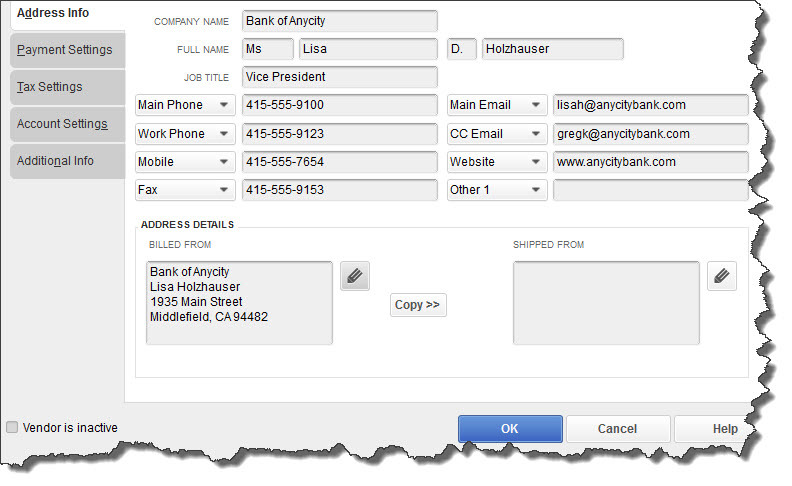 QuickBooks provides numerous paths to creating vendor-related transactions. The mechanics of filling in the fields in vendor records and using that information in transactions are not overly complicated. But as we’ve noted here, you may run across unfamiliar concepts. We’d be happy to spend some time with you exploring this whole topic, to ensure that your relationships with vendors remain positive. Contact us or book a free consultation.